Never throw a roll of polymer clay again !! The Magic mix will save you countless times by softening your clay. A must-have! Do not throw away any more polymer clay ! Use it to soften the clay which is a little firm. 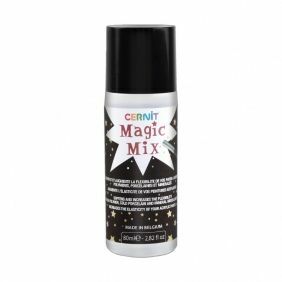 Cernit Magic Mix: the essential for all your achievements in Cernit! 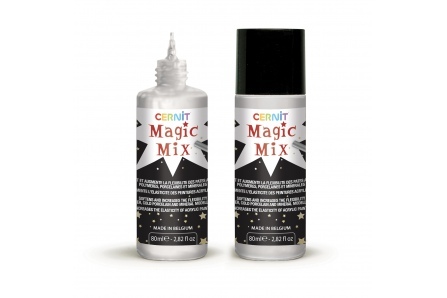 The Magic Mix Cernit is a plasticizer that is involved in the composition of the clay. It is therefore perfectly compatible with it, unlike other water-based products, such as glycerin, sometimes used to soften the clay. If these tend to make the clay brittle unlike the Magic mix that allows you to get a clay that is even more flexible and resistant after baking. It does not alter the colour or the rendering of the polymer clay in any way. It is the perfect product to accompany you in all your creations: coulis making, liquid polymer, chewing gum clay. With this revolutionary product, erase all fingerprints or irregularities on the surface of Cernit before baking. Be careful, add the product drop by drop thanks to the applicator cap until you get the consistency and the desired effect. How to order or return an order ?